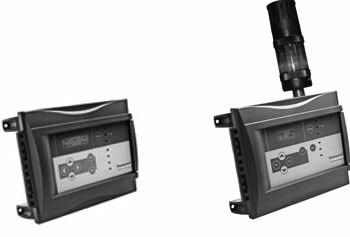 The Sensepoint XCD transmitter for commercial applications provides comprehensive monitoring of flammable, toxic and oxygen gas hazards in potentially explosive atmospheres, indoors and outdoors — and is marked by installation ease and flexibility, user-friendly operation and cost-effective gas monitoring. Three different types of the XCD transmitter are available for use with three different families of sensors. The mV type transmitter is for use with the mV family of XCD sensors including catalytic bead sensors to detect flammable gases in the range 0-100%LEL. The Electro Chemical (EC) type transmitter is for use with the EC family of XCD sensors including carbon monoxide (CO), hydrogen sulfide, (H2S), hydrogen (H2) and nitrogen dioxide (NO2). The oxygen transmitter is for use with the oxygen (O2) XCD sensors. Carbon Dioxide 2%Vol. 2% Vol. 2% Vol. 1% Vol. O2 Oxygen 25% Vol. only 25% Vol. n/a 20.9% Vol. (Fixed) 20.9% Vol. Control and monitor for toxic and combustible gases and oxygen hazards locally or through a Building Automation System network while reducing cost of installation and ownership of a gas detection system. Controller, Datalogger,BACnet/IP Output, Industrial Encl. The 301EM-20 acts as a controller for up to 20 remote sensors and suits a variety of gas detection system solutions for Mechanical rooms. Particularly configured to meet ASHRAE 15, B-52 and International Mechanical Code requirements, the 301EM-20 is commonly used to optimize gas detection in mechanical and chiller rooms. A full complement of sensors (including toxic, oxygen, combustible gases and a full line of refrigerant sensors) horns, strobes and remote panels provide added flexibility to suit a variety of gas detection system solutions. 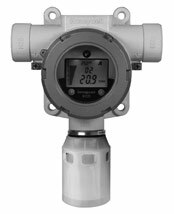 The E3Point Gas Monitor is available in standalone, standalone with remote (dual gas mode) or network versions. It connects to any analog or digital system. It works with virtually any Building Automation System including BACnet and Modbus. This monitor connects to wired systems or a hybrid wired/wireless system (via 301CW wireless controller) Detects CO, NO2, O2, H2, H2S, CH4, & C3H8 with factory calibrated sensor cartridges. Gas Sensors and Cartridges are required when ordering the E3Point Monitor. When ordering, specify which gases will be monitored and our sales technicians will select the correct sensor. Available sensors are; Carbon Monoxide (CO), Nitrogen Dioxide (NO2), Hydrogen Sulfide (H2S), Hydrogen (H2), Oxygen (O2), Methane (CH4), Propane (C3H8).